The discussions and sessions at ServerlessConf Austin ’17 were a good mix of emerging technology and existing use-cases. 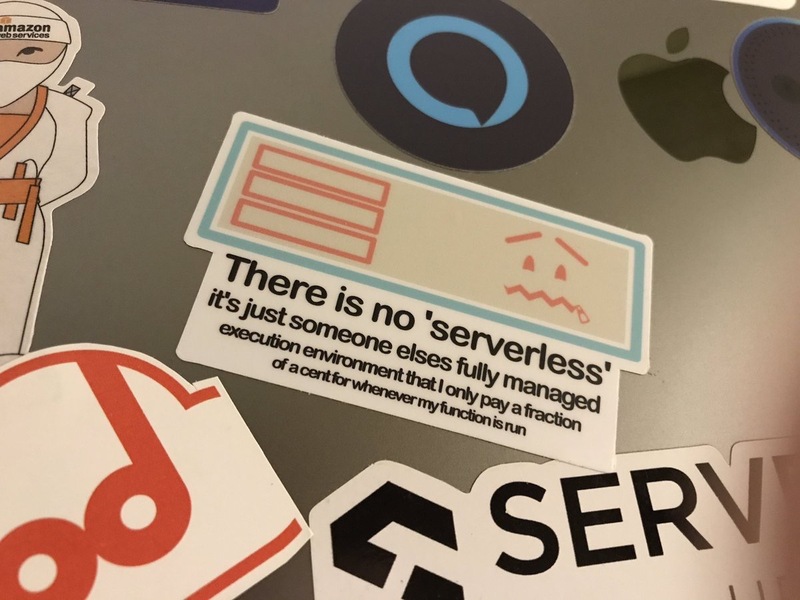 The high level message is that serverless allows developers to focus entirely on their applications and all (OK, most) of the infrastructure and operations challenges get handled by the underlying services. The evolution of frameworks from being focused on the functions, to being focused on the events and connected services. In particular, the Serverless Framework was mentioned as one that will need to evolve their focus from functions to events. The set of corner-cases and advanced use-cases that can’t be addressed with current services and tools. If we go back a couple years, when AWS Lambda was first announced, it had somewhat limited functionality and had limited language support. Fast forward a couple years and the number of other AWS services that can now interact with Lambda has grown significantly, as has the number of supported languages. Services like API Gateway, Kinesis and CloudFormations are now capable of invoking Lambda functions. Moving outside the AWS ecosystem, and we now see Azure beginning to expand not only their Azure Functions capabilities, but also the tools that connect Azure Functions to other services. 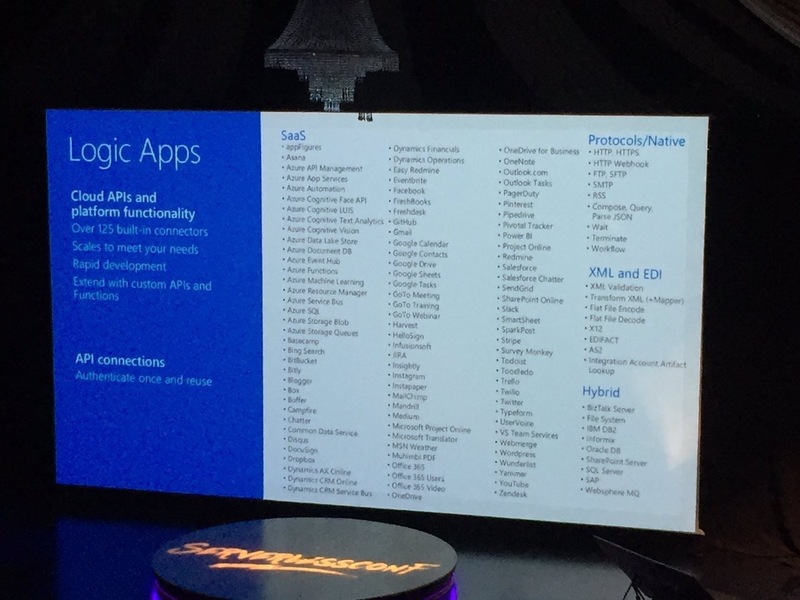 At ServerlessConf, it was highlighted that Azure Logic Apps now supported over 120 connectors, to a mix of Azure and 3rd-party services. As we move from being focused on the code within a function to the connections with other services, the mindset begins to change from “solving technical challenges” to “thinking about business logic”. With the broad range of connectors that will become more readily available in the marketplace, across many services, it’s not hard to imagine a line-of-business leader being able to bring together a new application to address to business model concept with very limited effort. It begins to democratize the development process. This move from thinking about functions to thinking in terms of events and connectors also creates the possibility for more asynchronous business interactions. Instead of thinking about the end-to-end process of a transaction or process, the steps of interaction can be asynchronous and more loosely coupled. Or they can become more micro-interactions, eventually allowing a more customized experience to be tailored to individual customers. 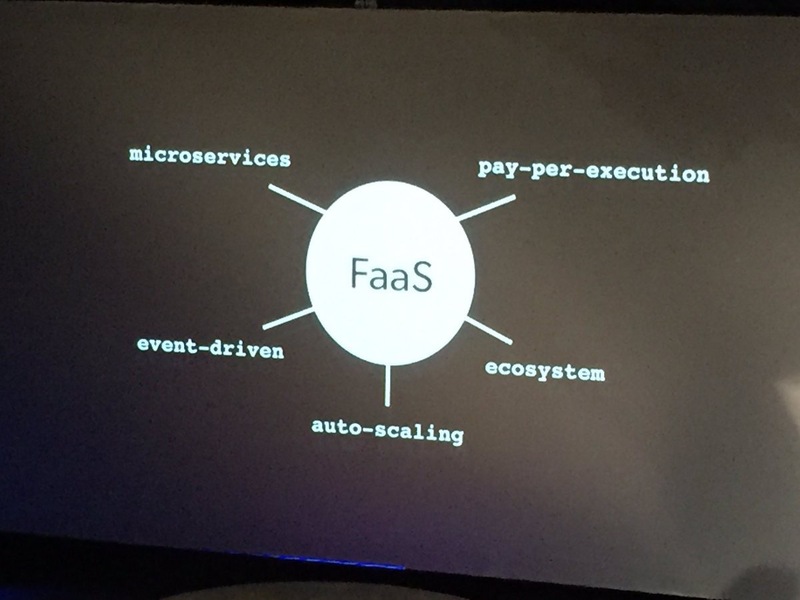 There are still many use-cases and corner-cases to be worked out as serverless moves the focus from functions to events, but it is definitely an area that the community at ServerlessConf was spending quite a bit of time thinking about and discussing possibilities.